Garden fence ideas include the use of reed screening to hide unsightly features such as compost heaps or dustbins, extremely useful for disguising boundaries, or enhancing existing fences or walls. Reed screening forms an excellent wind break, allowing just a breeze to pass through the gaps. Placed along boundaries reed screening can increase privacy, creating a useful block between you and your neighbours, or public throughways. Placed over pergolas or gazebos, reed screening creates dappled shade, ideal in hot weather, yet still allowing enough light to pass through for plants growing underneath. Used as screen dividers within the garden reed screening can form different areas or 'garden rooms'. Using different heights for different areas creates a theme within the garden. We are a large UK company specialising in garden fencing and screening for both the trade, landscape gardeners and anyone who loves to garden. We carry huge supplies in the UK for next day delivery. Large and small orders welcome. Other garden fencings we have in stock are Bamboo Fence, Reed Fence, Heather Fence, Thatch Fence, Brushwood Fence, Fern Fence, Bamboo Cane Fence and Willow fence. We offer free advice. Please call . This garden natural fencing and screening will enhance all gardens, patios and deckings. It can be used as boundary fence or as a garden screen to create separate areas within your garden. When used over arbours and pergolas it creates a soft shaded area beneath for those hot summer days. Simply attach to garden fence uprights with ties or staples. Ideal cover to chain link fencing. Can be used to screen unsightly areas such as compost heaps, rubbish bins, gas and oil tanks. Delivered in a portable carry bag. Garden natural reed fencing can help to enhance the garden. It can be used as boundary fence or as a garden screen to create separate areas within your garden. When used over arched arbours it can creates a soft shaded area beneath for those hot summer days. Simply attach to garden fence uprights with ties or staples. Ideal cover to chain link fencing. Can be used to screen unsightly areas such as compost heaps, rubbish bins, gas and oil tanks. Delivered in a portable carry bag. Dimensions : 4 metres (13' 3") x 1.5 metres (5' 11"). This natural garden fencing and screening can enhance all gardens, patios and decking. It can be used to offer privacy on boundary fence or as a garden screen to create separate areas within your garden adding interest. When used over garden arch arbours and pergolas it creates a soft shaded area beneath for those hot summer days. Can be easily attached to garden fencing uprights with ties or staples. These garden screens are Ideal cover to wire fencing. Can be used in most part of the garden to screen unsightly areas such as compost heaps, rubbish bins, and gas and oil tanks. Delivered in a portable carry bag. Dimensions : 5 metres (16' 6") x 1.2 metres (3' 11"). 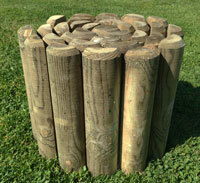 This new size or reed screening will help to enhance the garden, patios and deckings. This reed screen can be used as boundary fence or as a garden screen to create separate areas within your garden. When using this reed screening over arbours and pergolas it creates a soft shaded area beneath for those hot summer days. Reed screen fence is a simple attach to garden fence uprights with ties or staples. Garden screening is deal cover to chain link fencing. Reed screening can be used to screen unsightly areas such as compost heaps, rubbish bins, gas and oil tanks. Delivered in a portable carry bag. Dimensions : 3.8 metres (12' 6") x 1.8 metres (5' 11"). This new size or reed screen is ideal for use in the garden, patios and deckings. This reed screen can be used as boundary fence or as a garden screen to create separate areas within your garden. When using this reed screening over arbours and pergolas it creates a soft shaded area beneath for those hot summer days. 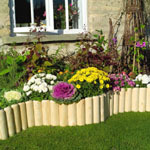 Reed screen fence is a simple attach to garden fence uprights with ties or staples. Garden screening is deal cover to chain link fencing. Reed screening can be used to screen unsightly areas such as compost heaps, rubbish bins, gas and oil tanks. Delivered in a portable carry bag. Dimensions : 3.8 metres (12' 6") x 1.2 metres (3' 11").